We left the Village Inn campground at about 11 am on a cold, rainy Saturday. The Village Inn in Two Rivers, Wisconsin was our home for about three weeks while we both finished our jobs. We chose the Village Inn because it was conveniently located and it was one of the very few campgrounds to open in April. And this Wisconsin April had temperatures well below average that dropped into the 20’s during several nights. We ended up using a lot more propane (for our furnace) than planned. However, we mostly relied on our heat pumps which worked flawlessly. Shortly after leaving Two Rivers, the rain turned to sleet which, fortunately, was short lived. 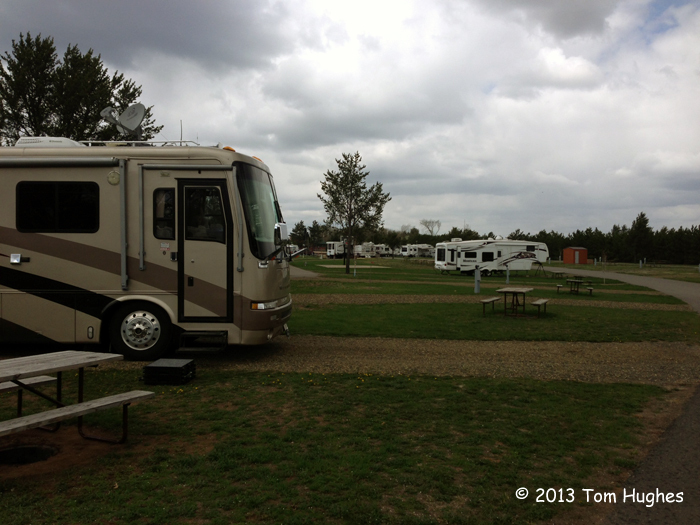 Instead of driving directly to our next destination in Pepin, Wisconsin, we stayed overnight in the Rivers Edge Campground in Stevens Point. Rivers Edge is a “stop over” campground — you stop there on your way to someplace else. It’s not a destination. We’ve seen several campgrounds like this one, and I’m pretty sure we’ll see many more. There’s nothing necessarily bad about stop over campgrounds as they usually have adequate facilities. In fact, Rivers Edge was well laid out, had a good store, swimming pool, plus a pub near the campground entrance, but . . .
It’s a nice place to visit, but I wouldn’t want to live there. 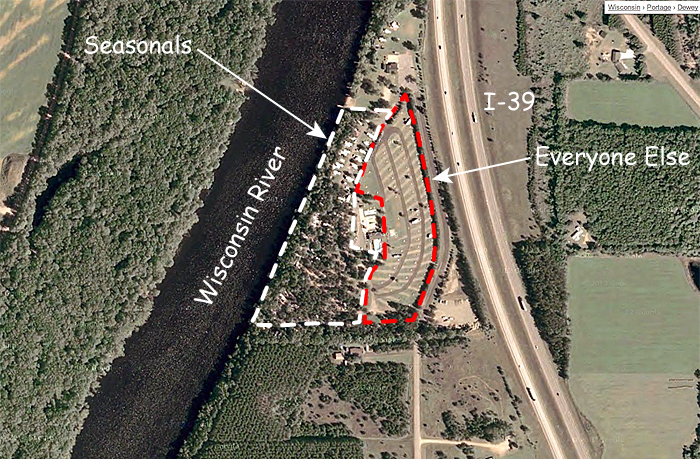 For example, the “seasonal” (or long-term residents) have the best spots near the Wisconsin River. 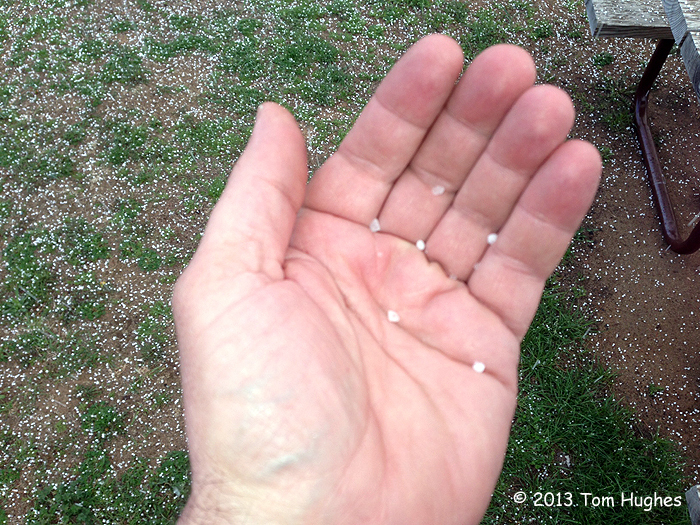 Finally, the cold weather followed us to Stevens Point and we were pelted with graupel (snow pellets) several times during the day. It’s 90 degrees plus today at Lake Pepin, WI! So much for cold temps. Growing up this was one of my favorite camping spots. I am glad I stumbled upon your article. It rekindled very happy happy childhood memories.